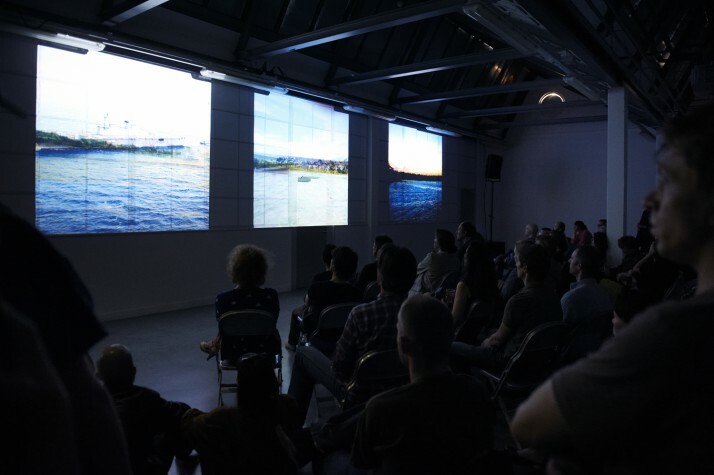 On the evening of Saturday 16 June, TENT presents four heavyweights of Dutch media art, who appear more often at innovative festivals than within the traditional white walls of an institute for contemporary art. 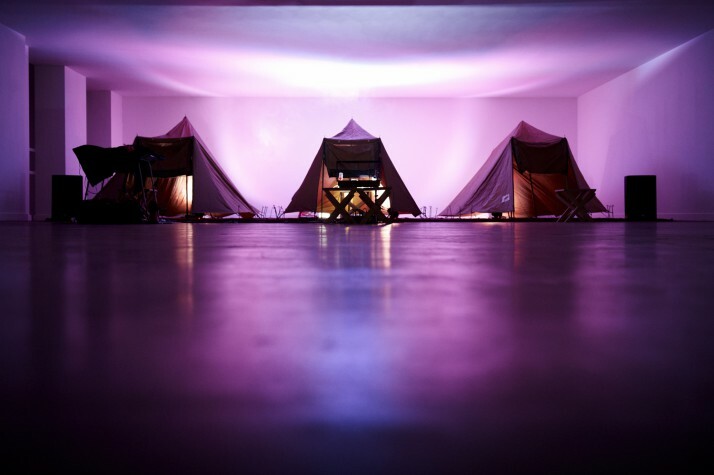 Dennis de Bel, Machinefabriek, Geert Mul & Michel Banabila and Telcosystems have developed soundscapes, visuals and music performances specially for the ’white cube’ of TENT. The monumental audiovisual triptych THRIFT by Telcosystems has its première in TENT. Using specially developed software, Telcosystems improvise with abstract sounds that are simultaneously visualized in a triptych. 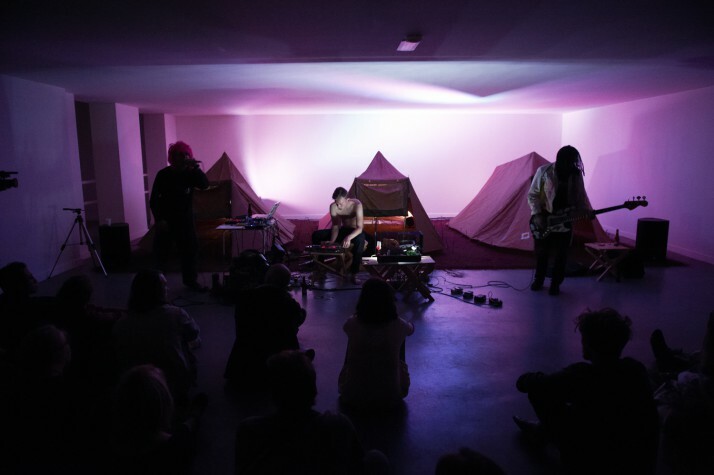 They see the performance as a form of live cinema, an experimental audiovisual practice in which digital means are used to sharpen the senses. Geert Mul and Michel Banabila present the first part of their long-term research project Sound of Identity, a study of the manifestations of cultural identity in image and sound. 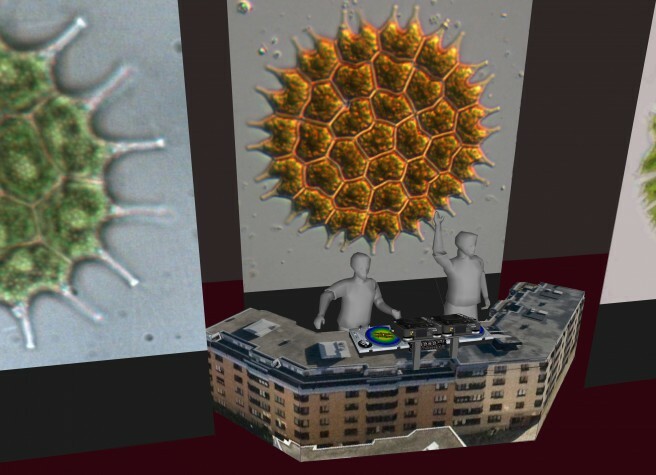 In two live sets they combine video images with electronically manipulated samples of text. Dennis de Bel graduated as an interactive multimedia designer from the Willem de Kooning Academie in Rotterdam in 2007 and from the Piet Zwart Institute in 2009. Dennis de Bel’s work is inspired by everyday life. He creates hybrid objects and ’new media’ by using common objects in an uncommon way. Among other places, he has exhibited at the NIMK (Amsterdam), MAMA (Rotterdam), Verbeke Foundation (Stekene) and at festivals such as Ars Electronica (Linz), Test 0! (Zagreb) and Today’s Arts (The Hague). 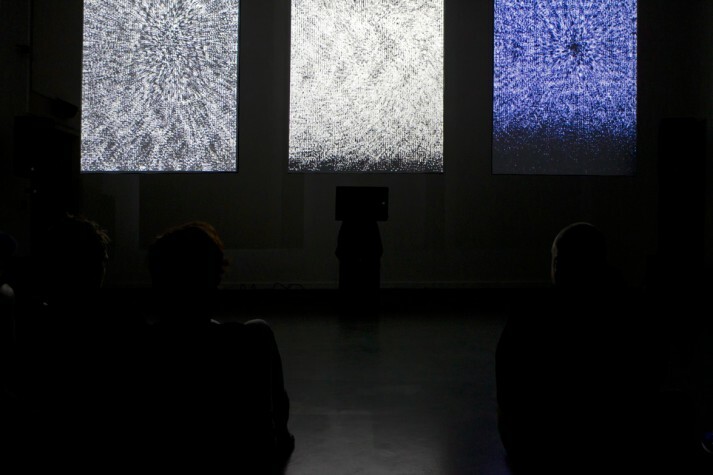 Geert Mul is one of the original pioneers of multimedia art. He gained notoriety in the 1990s with his live video-screenings for the Rotterdam techno club ’The Future’ and large Dutch pop festivals. 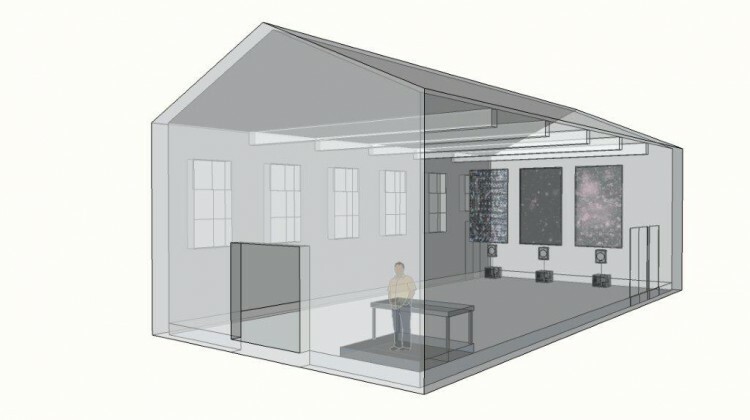 His sound and vision installations, concerts and performances can be seen in museums, exhibition spaces, concert halls and festivals in the Netherlands and abroad. He has also made a series of audiovisual works for public spaces on commission. Mul won the Witteveen+Bos Art & Technology Award in 2010. Michel Banabila is a sound artist, composer and producer. Banabila combines ’found sounds’ from radio and television with different musical styles, varying from experimental electronic, atmospheric ambient and jazz to classical music. He gained international recognition with the album VoizNoiz (2000). Besides his musical projects, he also produces dance, theatre and film productions and has countless collaborations with musicians and artists to his name. The three-man Telcosystems consists of Lucas van der Velden, Gideon Kiers and David Kiers. 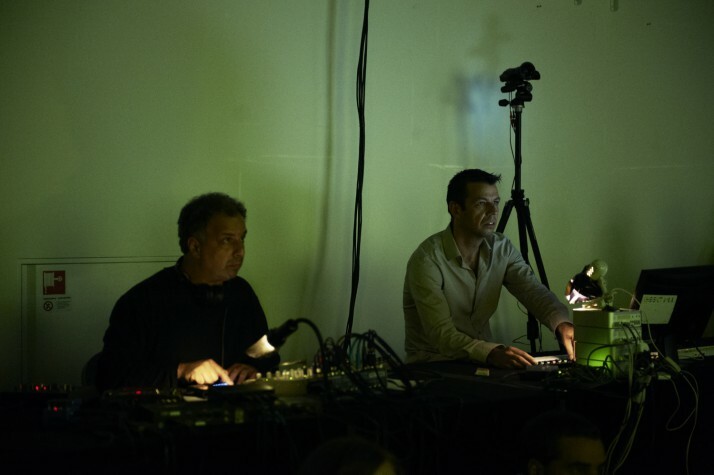 They operate effortlessly on the interface between performance, sound art, film and visual art. With their installations, films, videos, soundtracks, publications and live performances they examine the relationship between programmed mechanical behaviour and human expression. 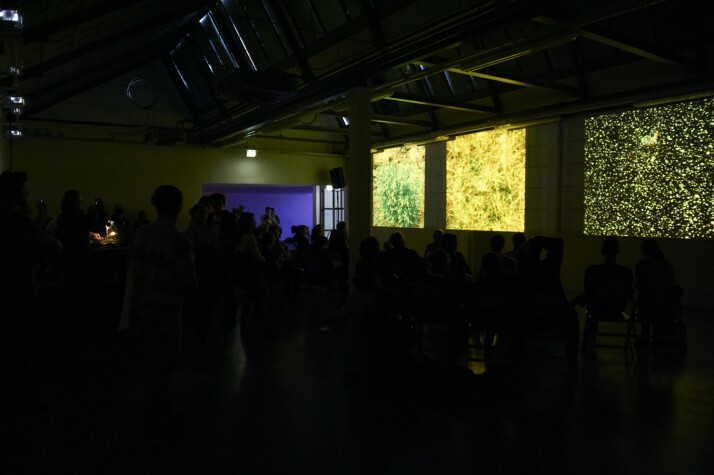 Telcosystems’ work has been shown in exhibition spaces and festivals including ARS Electronica (Linz), International Film Festival Rotterdam, De Appel (Amsterdam), Museum Boijmans van Beuningen (Rotterdam), MOV festival (Tokyo) and Kunstlerhaus (Vienna). Rutger Zuydervelt graduated from the Hogeschool voor de Kunsten in Arnhem as a graphic designer, but has been active as a sound artist since 2004 under the name Machinefabriek. 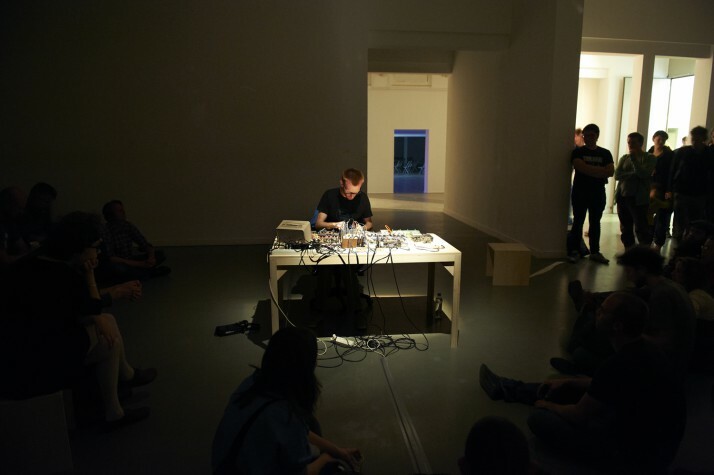 His music combines drones, noise, electro-acoustic music and field recordings and is released on labels such as Type, Home Normal, 12K, Dekorder, Digitalis, Experimedia and Staalplaat. Zuyderveldt is a much sought-after sound artist in the Netherlands and abroad and collaborates with visual artists for whom he has composed music for dance pieces, films and video installations.